American White Pelicans typically breed on islands in shallow wetlands in the interior of the continent. They spend winters mainly on coastal waters, bays, and estuaries, or a little distance inlandThe picture of this American White Pelican in Flight was taken at the Viera Wetlands in Melbourne, Florida The picture of this American White Pelican in Flight was photographed with the Canon 5D Mark III Canon 300mm f2.8 IS II with the 2X extender. 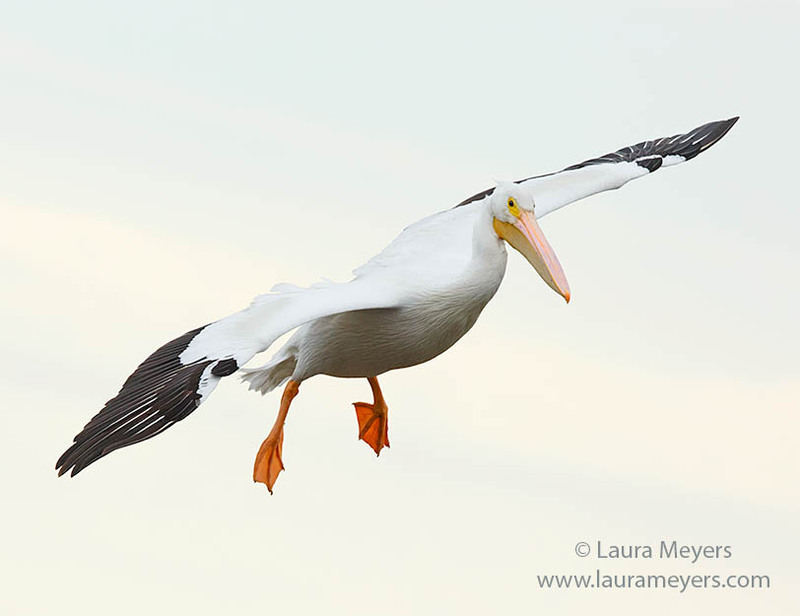 To hear the song of the sound of the American White Pelican, click on the arrow below. The Roseate Spoonbill is one of 6 species of spoonbills worldwide, the only one found in the New World. 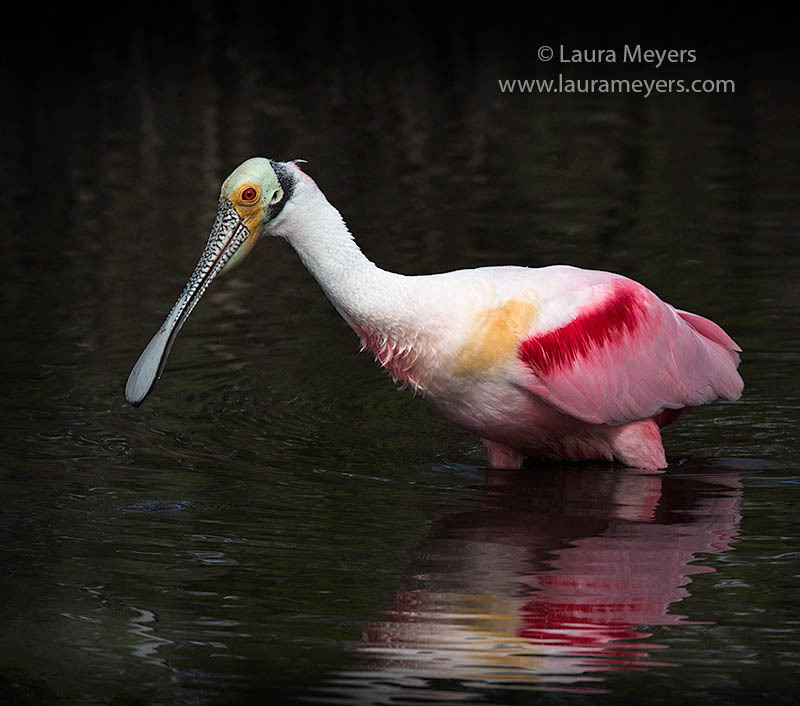 The picture of this Roseate Spoonbill in Water was taken at the Merritt Island National Wildlife Refuge in Florida. The picture of this Roseate Spoonbill was photographed with the Canon 5D Mark III Canon 300mm f2.8 IS II with the 2X extender. To hear the sounds of the Roseate Spoonbill in Water, click on the arrow below. 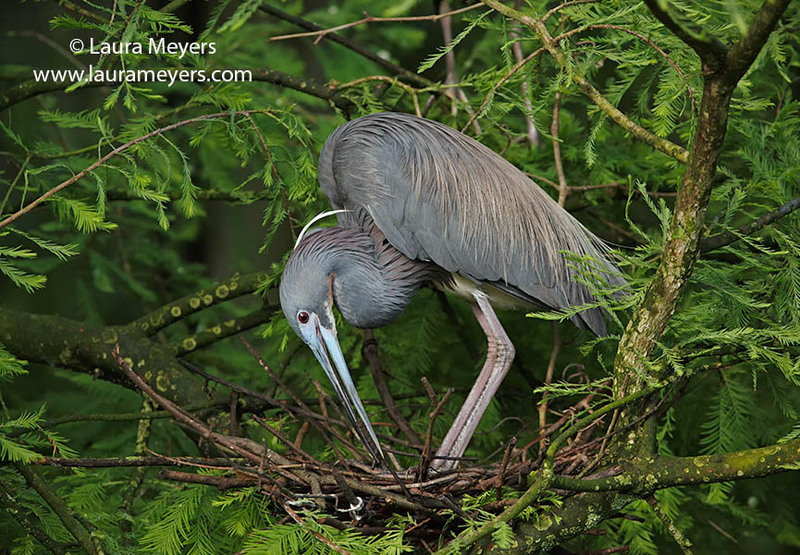 The picture of this Tricolored Heron on Nest was taken at the Alligator Farm in Florida. To see more of my photographs from the Alligator Farm use this Link to my photoshelter site. 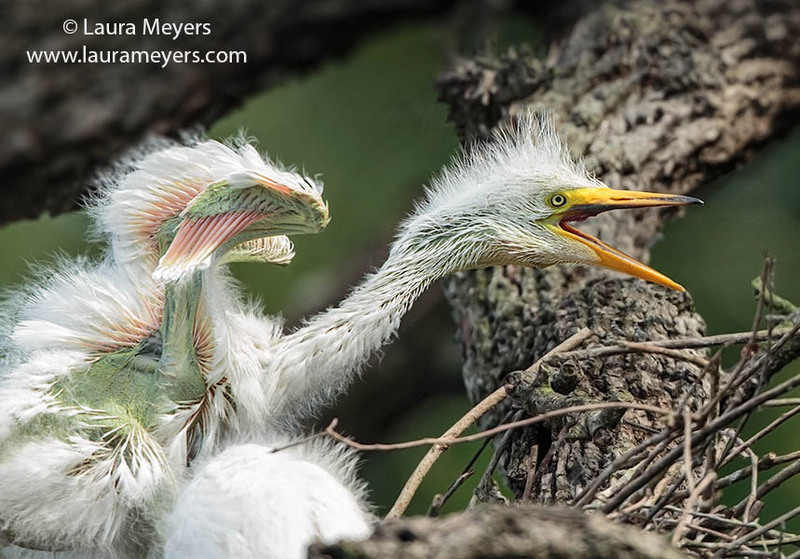 The picture of this Great Egret Chick was taken at the Rookery in the Alligator Farm in St Augustine, Florida. The picture of this Great Egret Chick was photographed with the Canon 5D Mark III Canon 300mm f2.8 IS II. 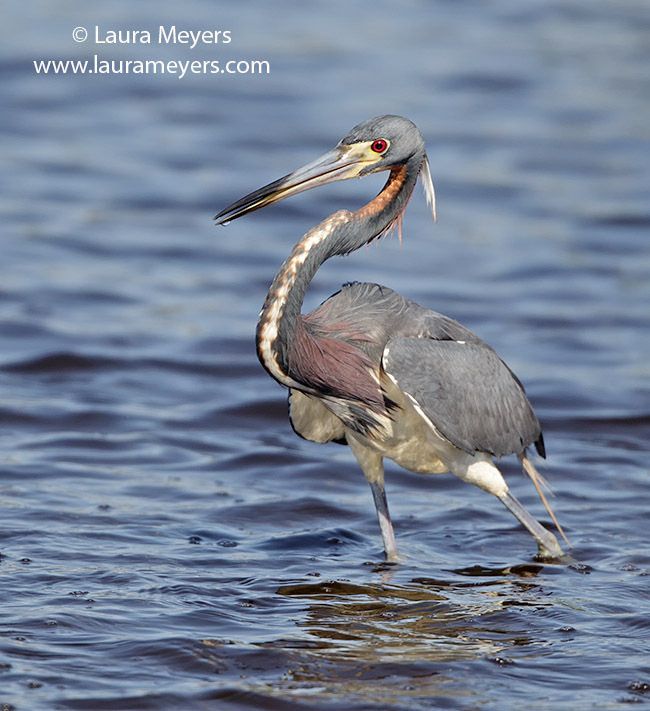 The picture of this Tricolor Heron was taken at the Merritt Island National Wildlife Refuge near Titusville, Florida. To hear the sound of the Tricolor Heron, click on the arrow below.